Cannabis is considered a gift from Shiva. Last Friday thousands of naked, dreadlocked yogi-shamans, called Naga Babas, descended on India and Nepal's holiest temples to celebrate Mahashivaratri, literally the "greatest night of devotion" to the Hindu god Shiva (one of three divine manifestations, along with Brahma and Vishnu). They smeared their faces and limbs with the cremated ashes of animals and nameless people, chanted bhajans (holy songs) and fasted. Some danced in ecstatic procession to shrines laden with tokens, flowers and the sacred (but poisonously hallucinogenic) Datura fruit. Bonfires were lit and stoked by devotees through the moonless night, to bring Shiva warmth and hasten the close of winter. And local police turned a blind eye when many of the Shaivites shared an offering of cannabis, the prasad, with their god and fellow pilgrims. "We smoke to please the lord and nobody can stop us," explained one such yogi, Baba Kripashankar, to The Kathmandu Post during last year's festival. "It's a prasad [offering] of Lord Shiva. Even he smokes it." Despite being outlawed in India, cannabis is considered a gift from Shiva, who on the night of Mahashivaratri reveals his Tandava, a primordial dance of conception, preservation and destruction. Worshipers consume the plant (ganja is smoked from a chillum, or clay pipe; charas, or hashish, is a resin extract that is also smoked; and bhang is a sort of marijuana-infused milkshake) in communion with the deity and enter into a meditative state of prayer and contemplation. For the monastic Naga Babas and other ascetics, it is a night of stillness and possibility within, a night to, like Shiva purportedly did after centuries of meditation, "become like a mountain." (Mount Kailash in the Himalaya is Shiva's spiritual dwelling in the Hindu tradition.) The cannabis helps carve out interior space for such an experience. 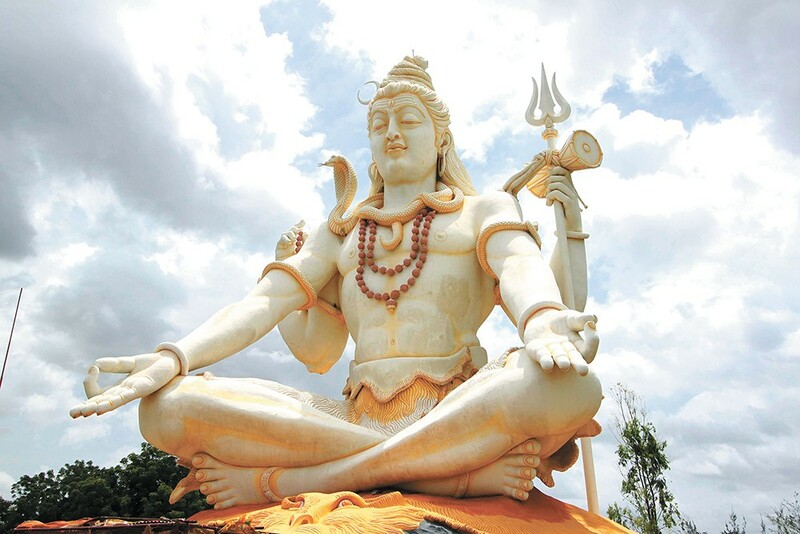 "The way normal people need food, we need this to concentrate on Shiva," says a devout Shaivite in a National Geographic film about the Lord of Bhang, as Shiva is sometimes referred to. "Problematic feelings like lust, greed and anger all vanish," says another. "You become cool and calm. You only concentrate on god." Some Christians in America have made the same discovery, only without renouncing the world (and their clothes) as many of their Hindu brothers and sisters have. Deb Button, a conservative Colorado soccer mom, grew disillusioned with a judgmental church and, after an illuminating stoned bike ride, founded the Stoner Jesus Bible Study in 2015. It turns out that marijuana and Scripture are complementary vehicles for exploration of the divine within.